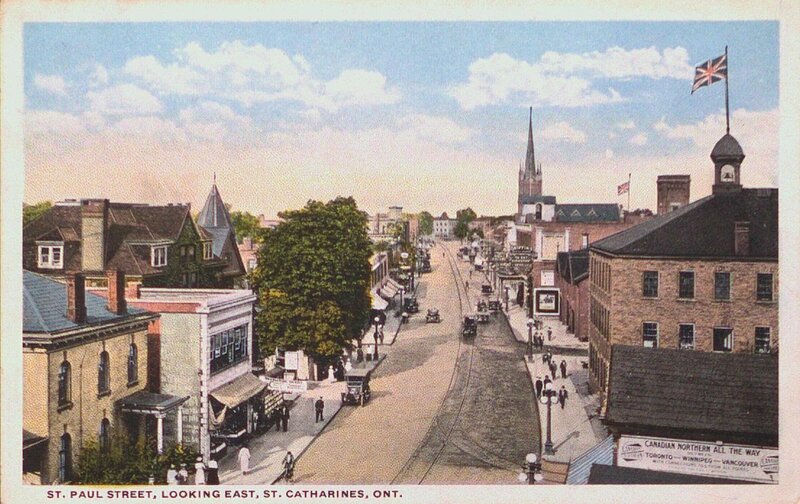 St. Catharines has been around for almost 200 years, first as a part of Upper Canada and then as part of Canada West in the Province of Canada. It was certainly around 150 years ago to witness Confederation – the birth of the Dominion of Canada. In this exhibit, as part of our way of celebrating Canada’s 150th, we have divided the most recent 150 years of St. Catharines into five separate periods of time. For each time period, we have selected pictures that we think represent St. Catharines as a part of Canada from Confederation to 2017, reflecting innovation and growth, wartime, depression, and prosperity. The date ranges we have chosen are: 1867 – 1900, 1900 – 1930, 1930 – 1960, 1960 – 1990, and 1990 – 2017. Just click on the links to the left and begin exploring the history of St. Catharines from Confederation to 2017.